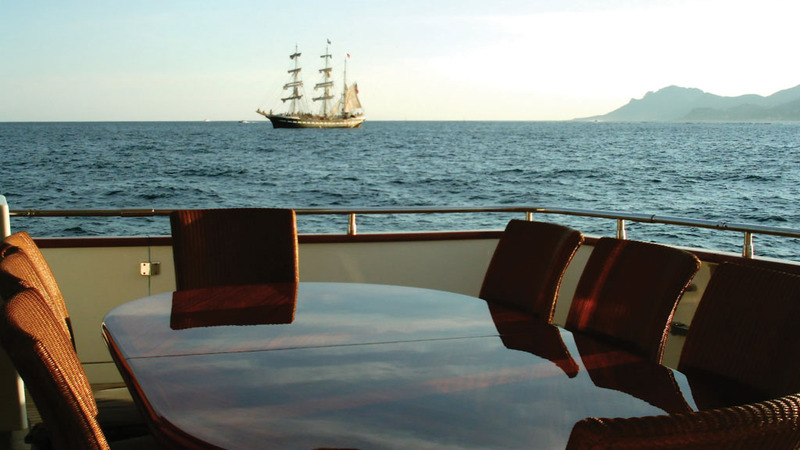 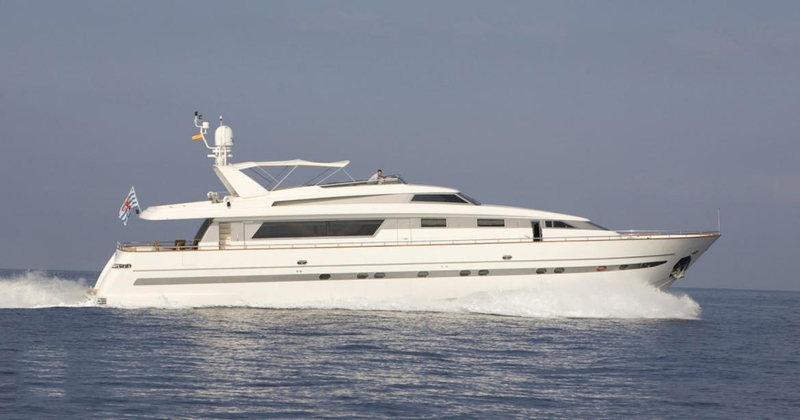 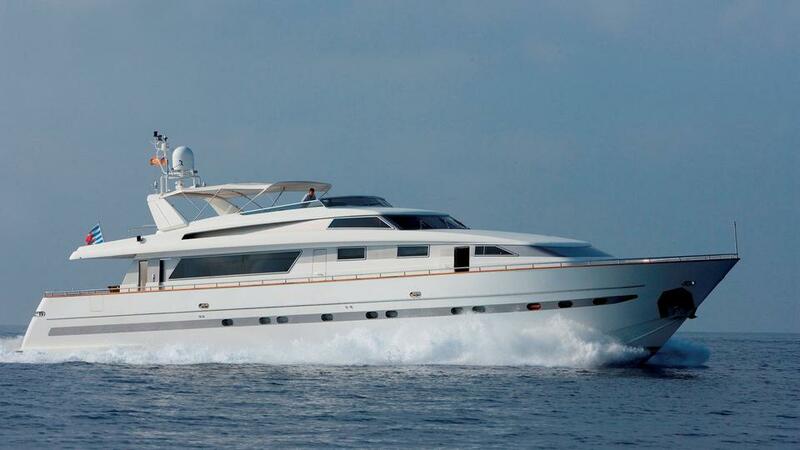 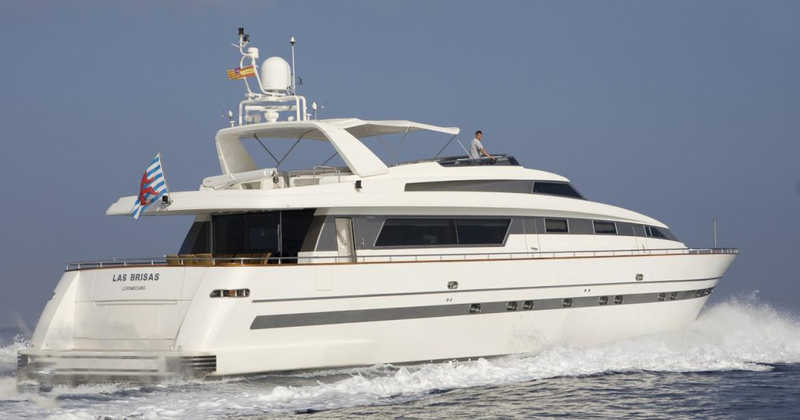 Luxury charter yacht LAS BRISAS is an ideal choice for families and groups of friends. 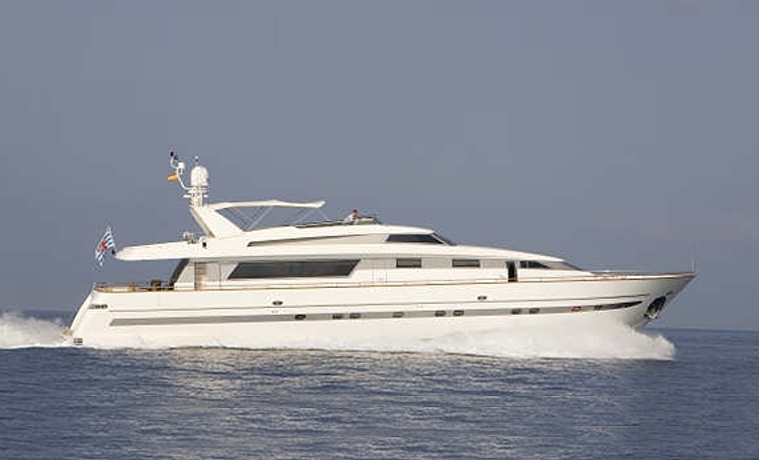 She is distinctive design by San Lorenzo 100 planing hull measures 30m (98.4ft) and she can accommodate up to 9 guests in 4 deluxe cabins. 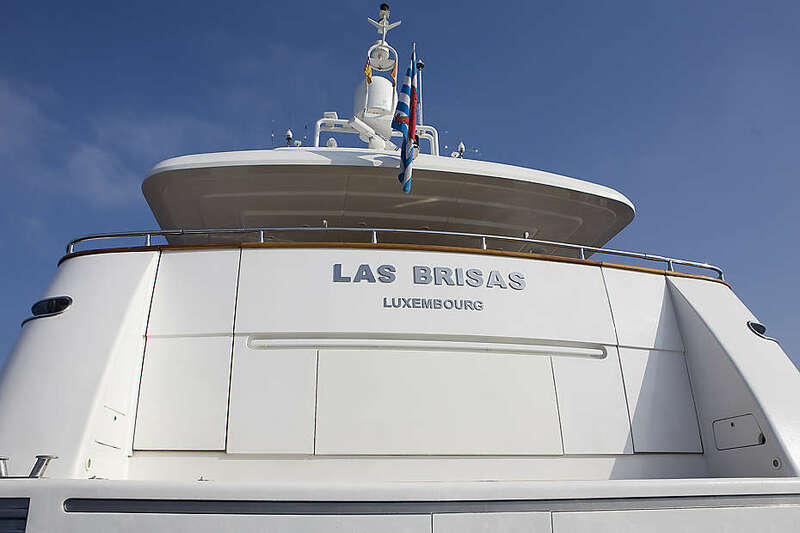 LAS BRISAS boasts ample interior space; her salon is large, light and airy with cool toned neutral soft furnishings, warm high gloss wood panels and panoramic windows. 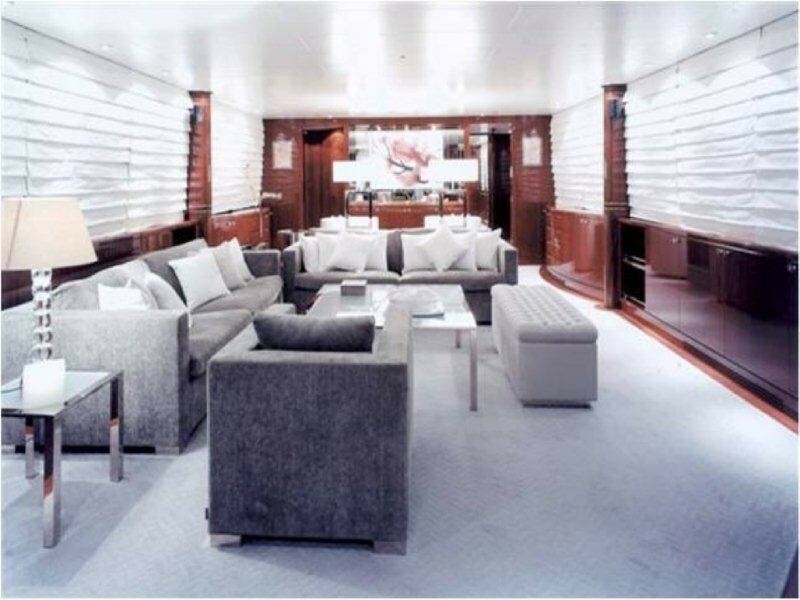 The décor is tasteful and pleasantly relaxing. 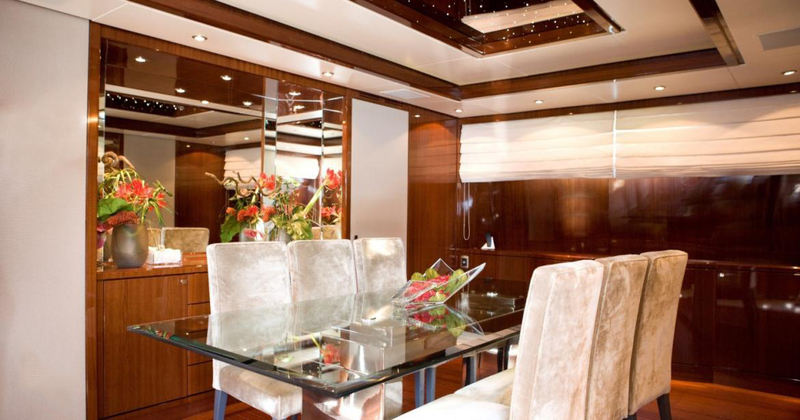 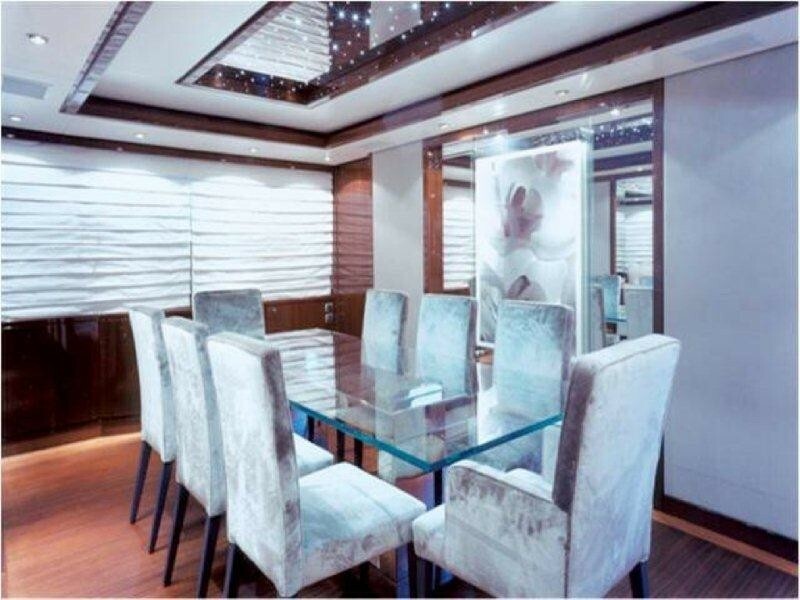 Forward of the salon and separate is a formal dining area complete with an impressive glass table and seating for 8. 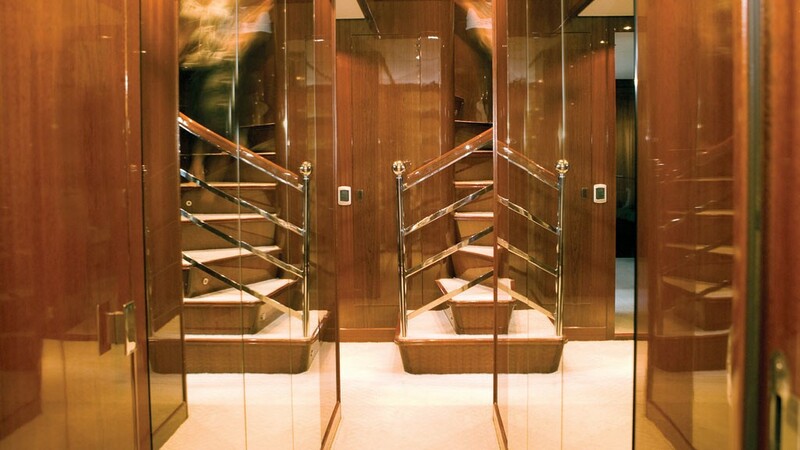 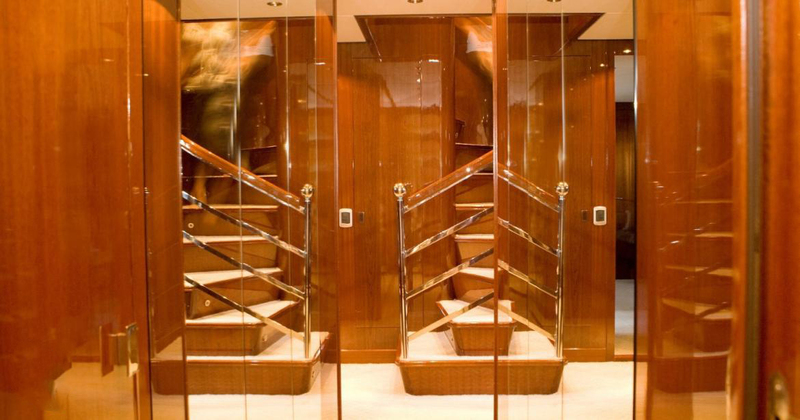 Guest’s cabins are below decks and accessed from a private foyer between the salon and dining rooms. 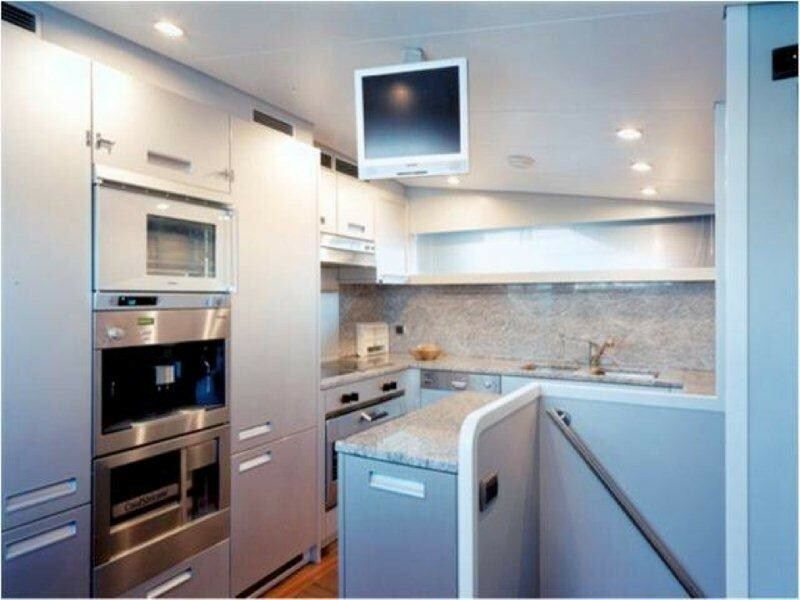 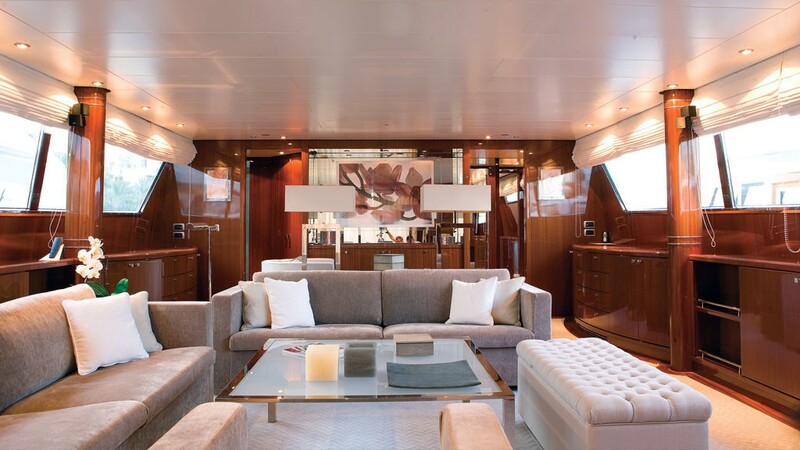 Stepping out from the salon’s aft sliding glass doors; this motor yacht features a shaded aft deck with an alfresco dining option. 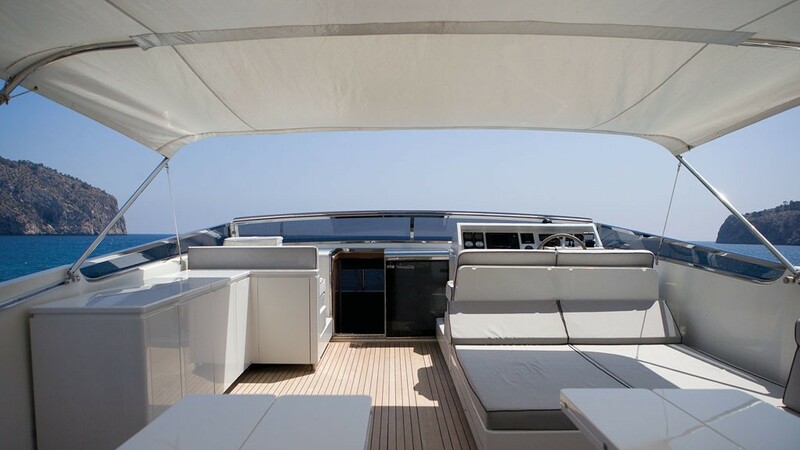 For guests wishing to enjoy the warm azure waters, stairs on the port transom lead directly to the extended swim platform. 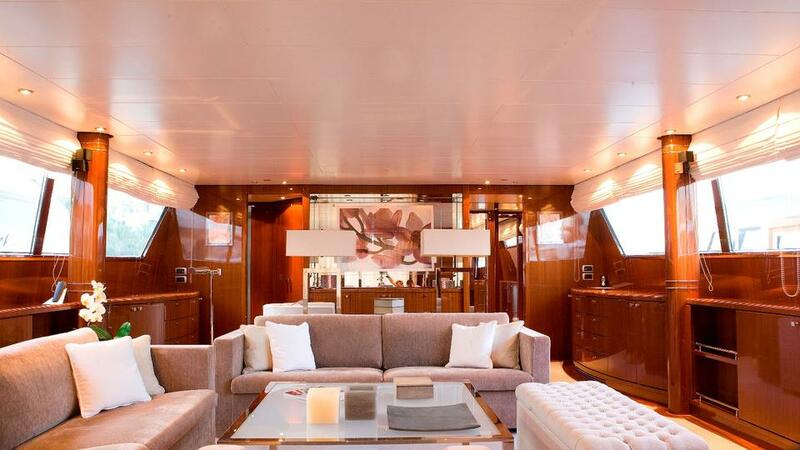 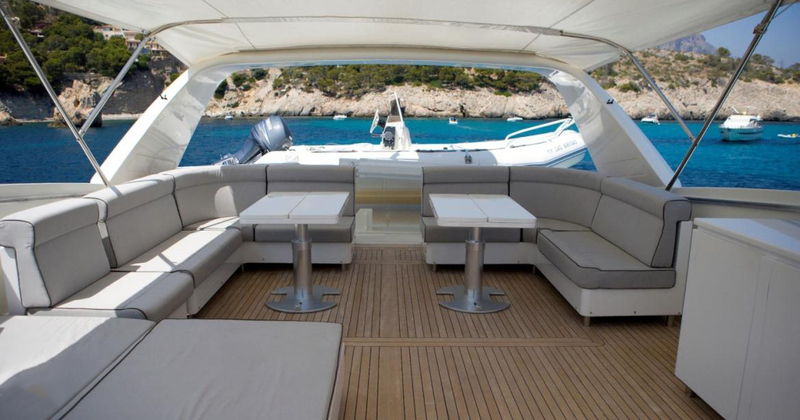 She offers a comfortable seating area forward, ideal for a private retreat. Above the main deck, the flybridge boasts ample seating, sun pads, alfresco dining and a removable Bimini cover. 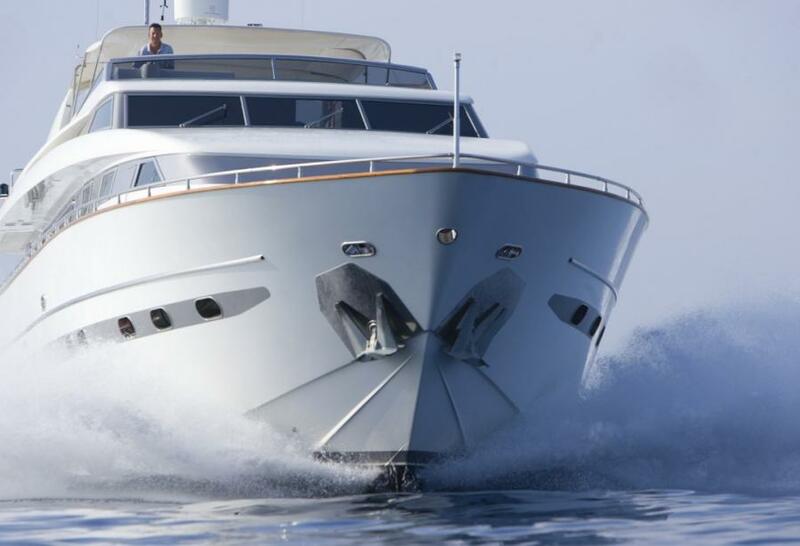 LAS BRISAS has a beam of 6.4m (21ft) and a draft of 2.4m (7.9ft), the yacht is powered by 2 x MTU 2285HP engines which can cruise at an effortless 24 knots with maximum speeds of 28 knots. 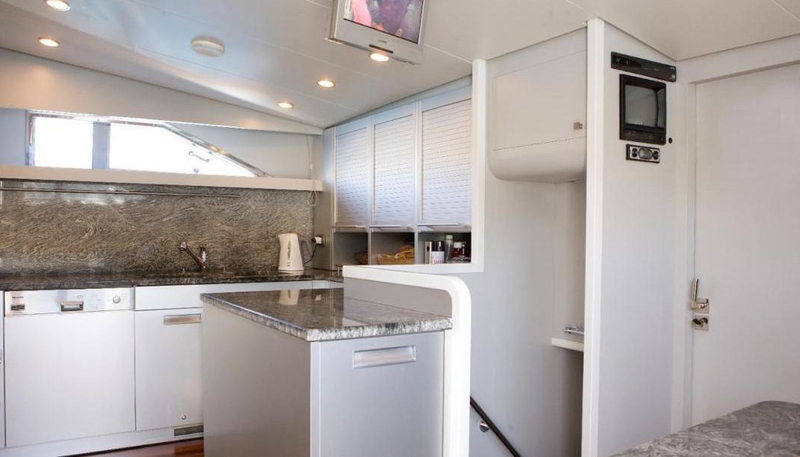 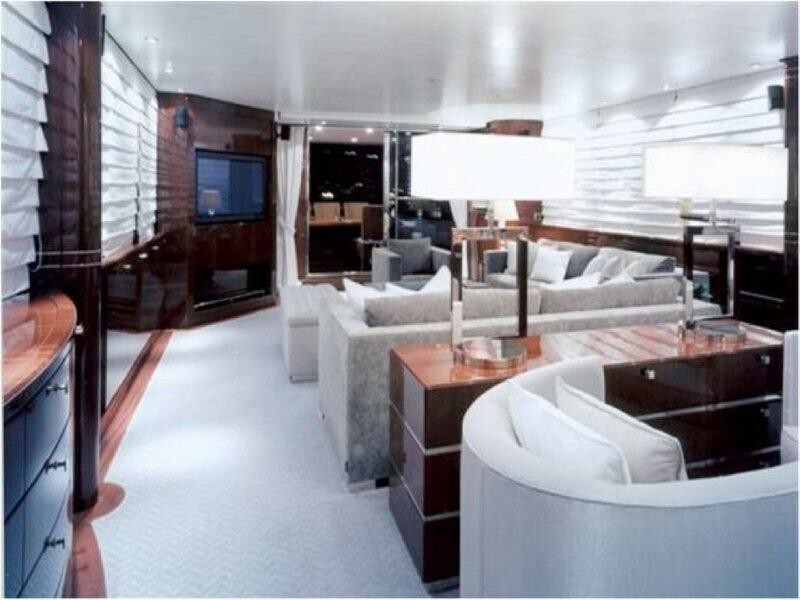 Deluxe accommodation for up to 9 guests is below decks. 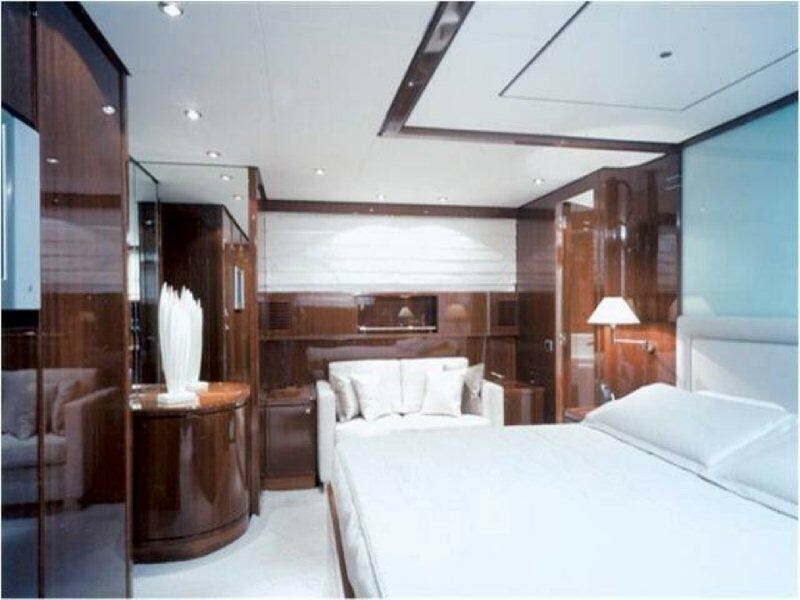 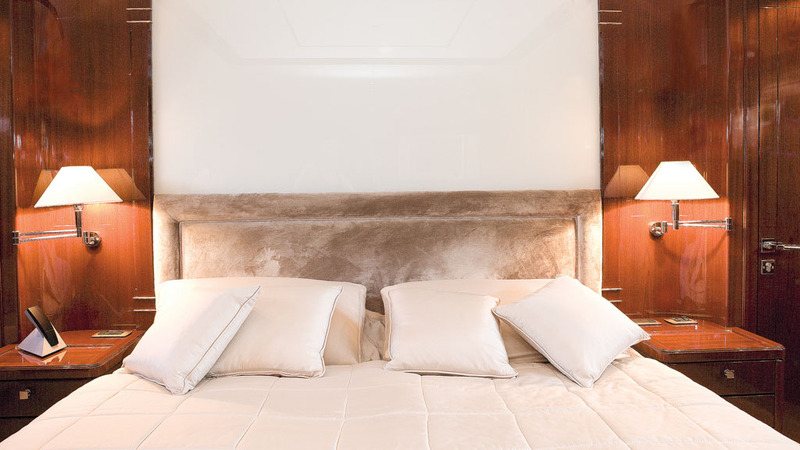 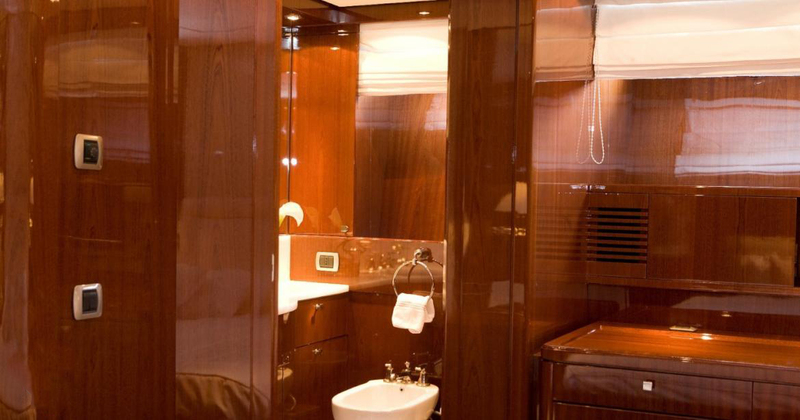 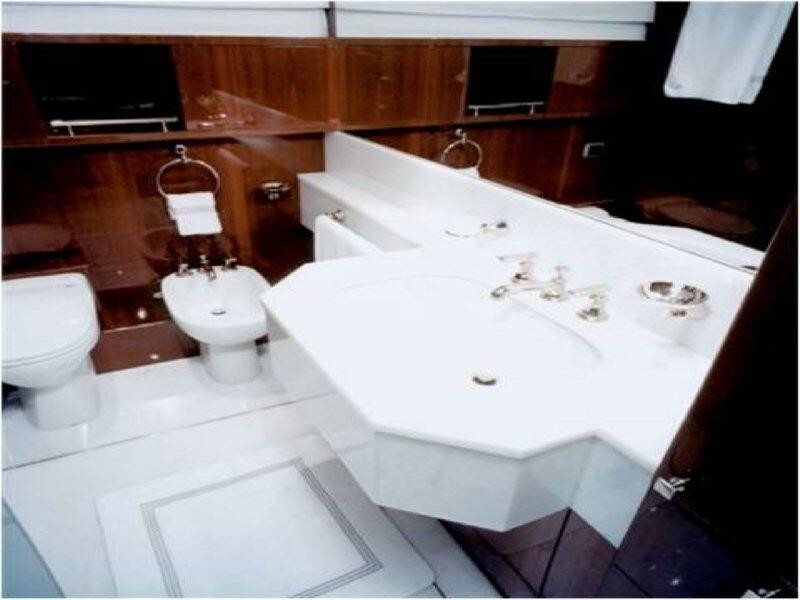 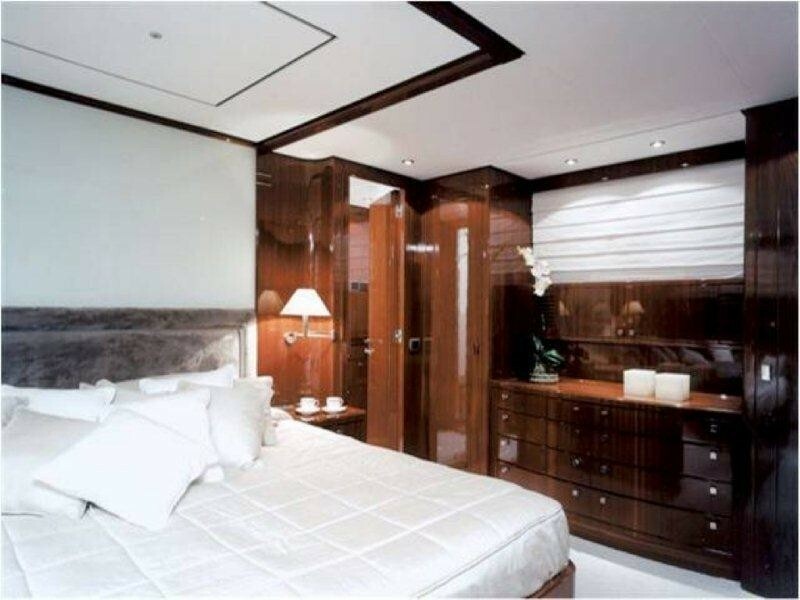 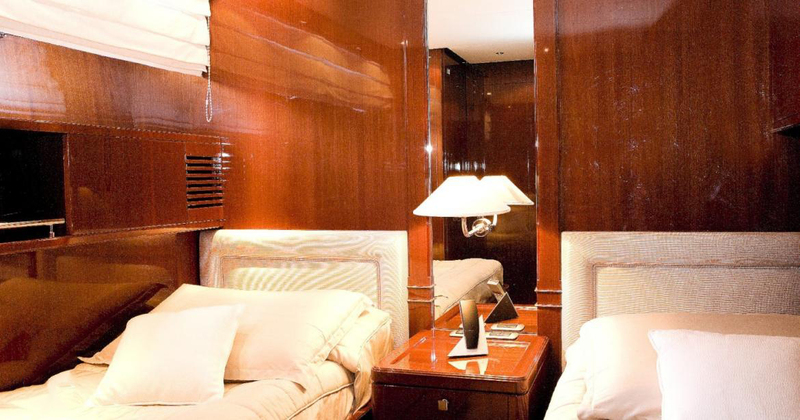 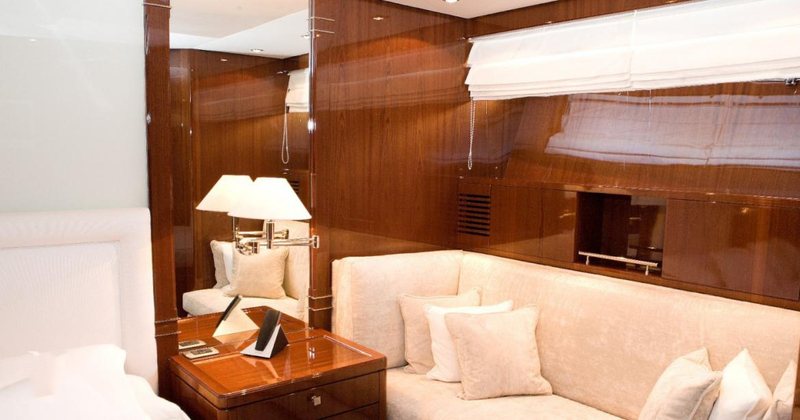 The master suite is amidships and full beam of the yacht with a double centre lined bed, sofa, vanity, his and hers facilities with a tub/shower between them. 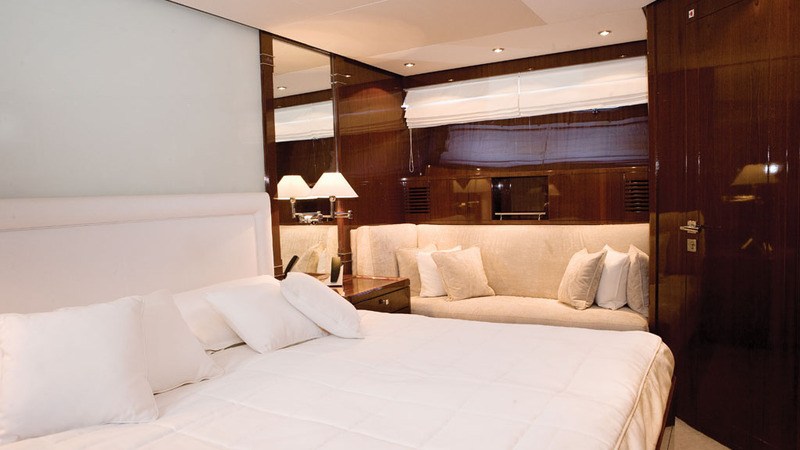 Two twin guest cabins are mirror images forward of the master. Further forward and full beam of the yacht the VIP cabin offering a centre lined double bed and walk in closet. 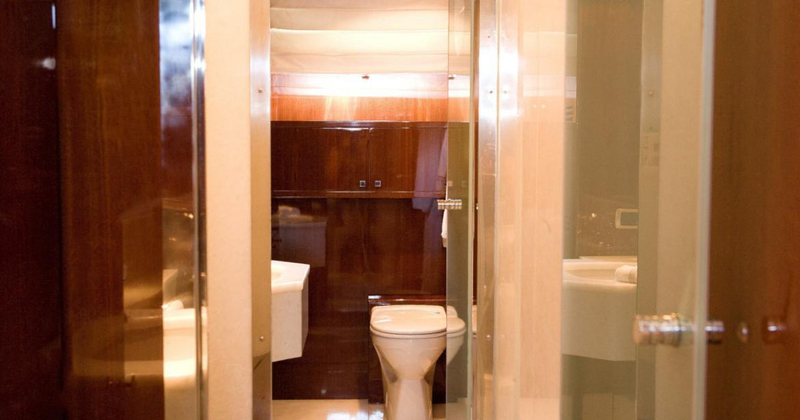 All four cabins offer private en-suite facilities and TV entertainment. 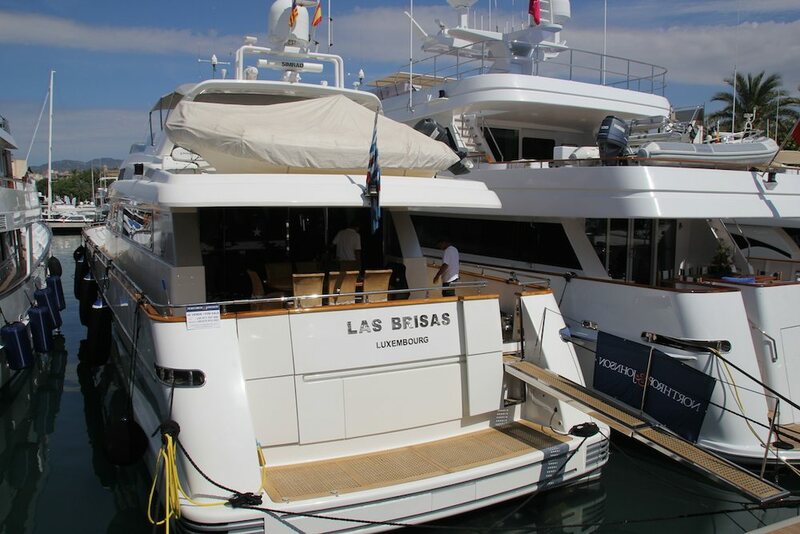 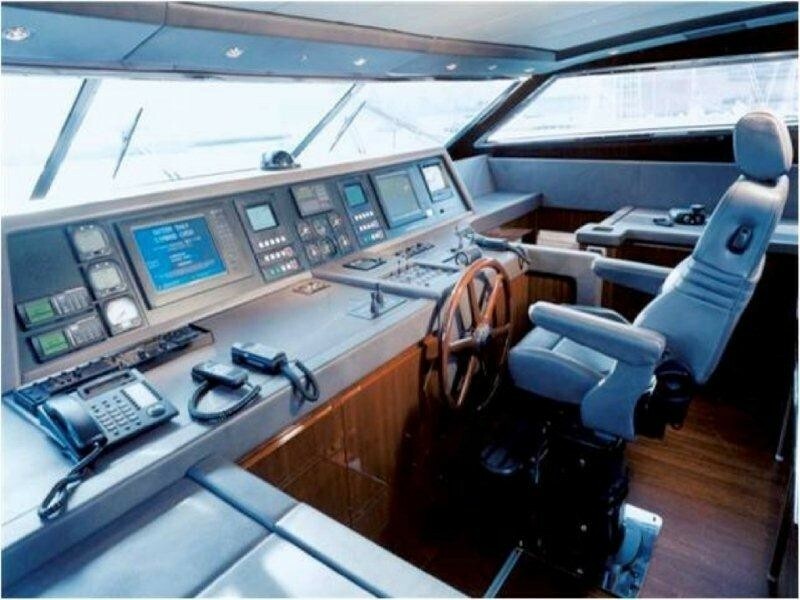 Tenders + toys on board the LAS BRISAS yacht include: Zodiac XL Deluxe 480 60 HP Yamaha outboard engine. 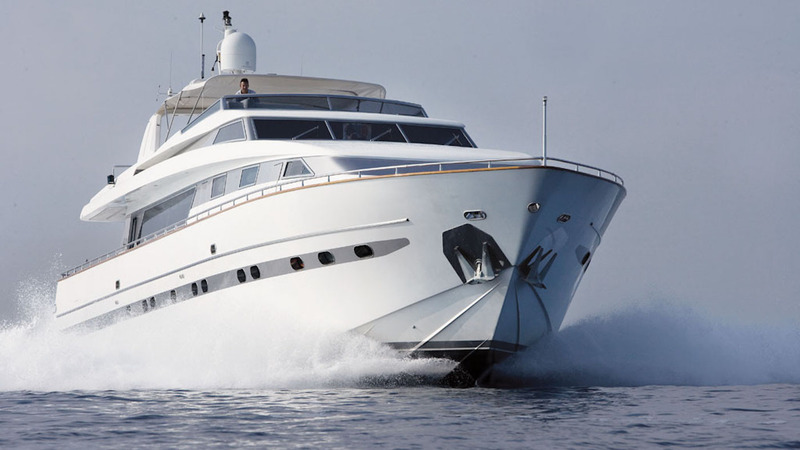 For a full list of water toys available please contact us.